Dr. Alma B. Judd, born January 1, 1934, passed away on July 18, 2018 in Mesa, Arizona. Dr. Judd, a trained dentist who practiced in Mesa for thirty years, was born and raised in Fredonia, AZ by Warren Dart Judd and Olive Brooksby Judd. Alma attended Arizona State College for a year before serving a mission in Australia for The Church of Jesus Christ of Latter-day Saints. During that year he met Alice Shumway from Woodruff, AZ. After his return from his mission, he and Alice resumed their courting and fell in love. They were married in the Mesa, AZ temple for time and all eternity on December 28, 1957. While attending ASU, Alma and Alice began their family which eventually numbered 10 children. Four more children were born to Alma and Alice in Mesa. After a prolonged illness Alma’s beloved Alice died in 1997. In 1999 Alma met and fell in love with Connie Patten who had 7 children of her own. They were married on June 24, 1999 in the Mesa, AZ temple. Alma’s life was focused on his family, church service, and scouting. He served as Bishop, Stake Patriarch, Scoutmaster for troop 357, and held many other church callings. He and Connie served as senior missionaries in Sacramento, CA, and for many years in the Mesa Temple as ordinance workers. He was the recipient of Scouting’s highest honor, the Silver Beaver award. Alma is survived by his devoted wife, Connie of Gilbert, AZ; three brothers, Keith (Carol) of Fredonia, AZ, Tharon (Cathy) of Orem, UT, and Lawrence (Jan) of Yamhill, OR; ten children, Tami Prince (Spencer) of Kaysville, UT, Sara Dodd (Layne) of Mesa, AZ, Derek (Brenda) of San Tan Valley, AZ, Ardell (Lorelei) of Loveland, CO, Jared (Patricia) of Camas, WA, Jeni Judd of Gilbert, AZ, Justen (Joyce) of Mesa, AZ, Jonathan (Mindy) of Gilbert, AZ, Jeremy (Micah) of Mount Juliette, TN, and Alisa Ray (Danny) of Mesa, AZ. Alma’s surviving step-children include: Melissa Wusich (Daren) of Chandler, AZ, Kristen (Greg) Suman of Washington, UT, Aaron Patten (Latona) of Chandler, AZ, Jeremy Patten (Larne) of Gilbert, AZ, Caralee Thomas (Mike) of Gilbert, AZ, Morgan Finn (Ryan) of Mesa, AZ, and Brittany Hibbing (Ben) of Mesa, AZ. Within this blended family Alma is also survived by 74 grandchildren and 31 great-grandchildren. Viewing- Friday, July 27, 2018 from 6:00 to 8:00pm at Bunker’s Garden Chapel, 33 N Centennial Way, Mesa, AZ 85201. Graveside Service/Interment- Saturday, July 28, 2018 at 9:00am at the City of Mesa Cemetery, 1212 N Center St, Mesa, AZ 85201. 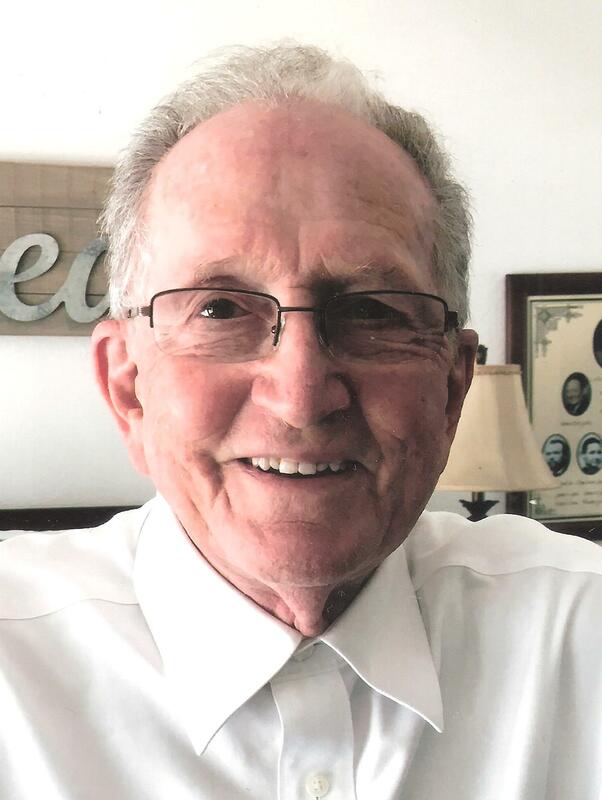 Memorial Service- Saturday, July 28, 2018 at 11:00am at the Lehi Stake Center, 1430 N Grand, Mesa, AZ 85201. We are so sorry for your loss. I worked for Dr Judd from 1981-1986. He was a wonderful man and truly loved his family . He always treated everyone with respect. He will be missed. Our condolences to Connie and Family for the loss of your husband, Father, Grand Father and Great Grand Father. He was great in every way. We appreciate his contributions and accomplishments. He has been a positive role model. My wife also has “roots” in Fredonia (Veda Cluff family; (1956-58 Eldred Cluff family), etc.